You can have multiple trees at RootsFinder. 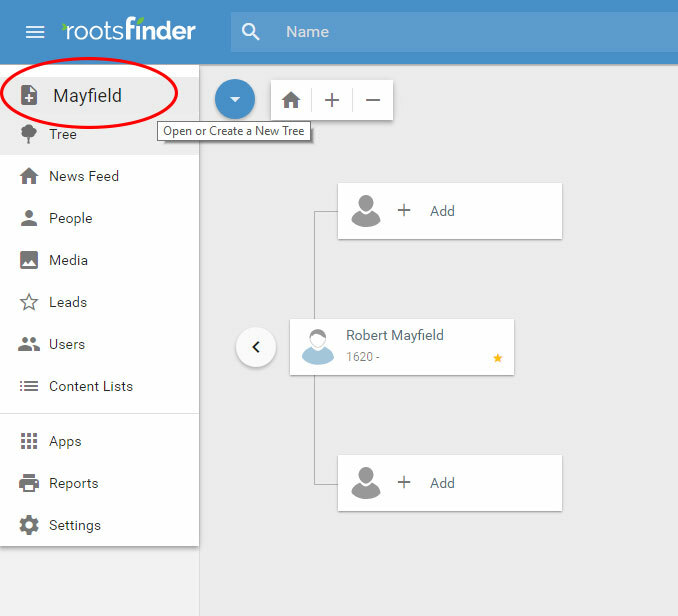 This is helpful when you want to split maternal and paternal lines, or keep a "rough draft" speculative tree separate from your "approved" tree, or when you want to keep a separate copy of your FamilySearch tree, for example. Whatever, the reason, you can easily switch between your various trees by clicking the tree name at the top of the left-hand menu. Then select the tree you want to switch to, or start a new tree. The second section will be "Global Tree Settings." 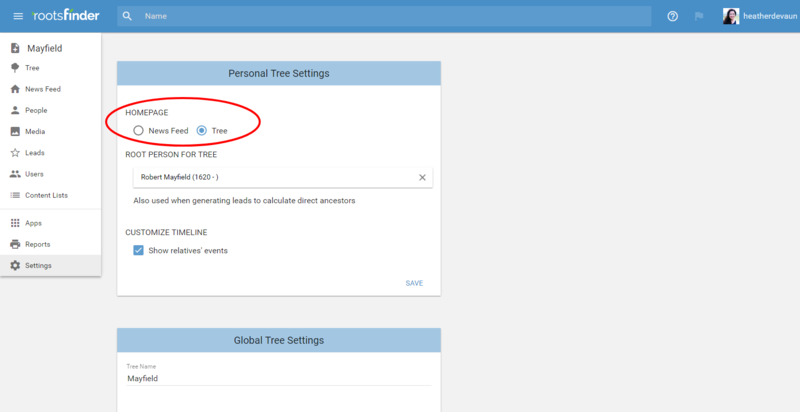 The first option in the Global Tree Settings section is "Tree Name." Type the new name you want for your tree. 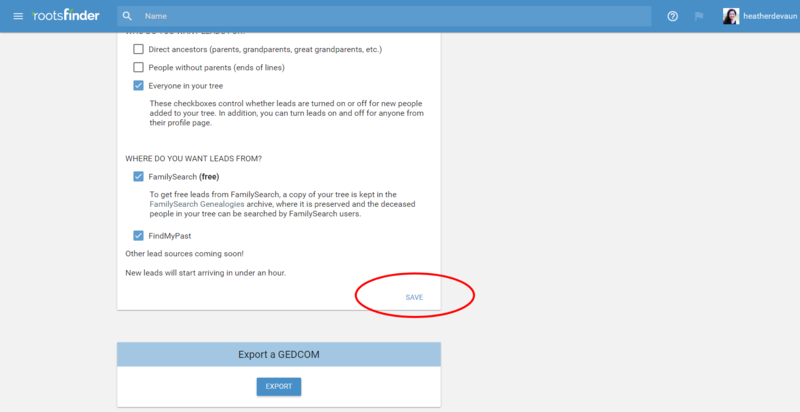 IMPORTANT: After you've renamed your tree, scroll down past the privacy and leads (hints) options and click "Save"
To change a tree's access settings from public to private, go to the tree settings page by selecting "Settings" from the tree menu at left. 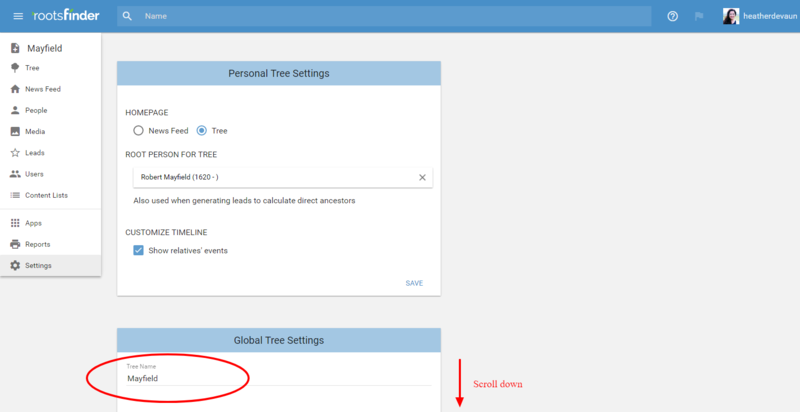 Scroll down to the "Tree Settings" section, then click the circle next to "Private." Then click "Save." Click "Settings" at the bottom of the left-hand menu. This will take you to the tree settings page. On the tree settings page, the first section will be "Personal Tree Settings." The first option in that section is "Homepage." This is where you can select either the News Feed or the Tree (pedigree view) as the default view for your tree.